Seville is one of the cities which you will be able to discover by walking. Prepare yourself and bring with you comfortable shoes. If you are going between May and September it will be very hot, so shorts and light clothes are highly recommended. Our Seville itinerary 3 days will help you to take the best from your trip. Those Sevilla tips will help you to walk around and don’t miss nothing. Sevilla is one of the best cities ever. 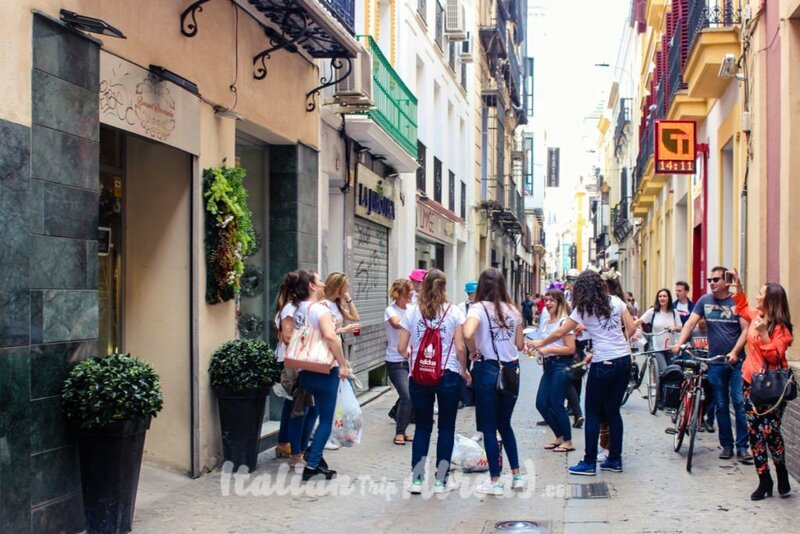 We have really enjoyed our time there and will share with you what you can’t miss in your Seville itinerary 3 days. There some places which you need to go even if you will spend just 2 days in Seville. If you are going to visit the South of Spain, you should do a proper tour of Andalusia. This amazing land has 360 days of sun every year. Sevilla is the perfect combination of nice weather, great food, and stunning architecture. All you need to know about Seville Itinerary in 3 days is Here! Well, I would stay for the rest of my life in Seville. Even if this city doesn’t have the sea, which I love. Sevilla is one of my favourite cities in Europe. If you are planning a tour of Andalucia, 2 days in Seville will be enough. You will have the time to see the most important monuments and sights. There are a lot of things to see in Seville in 2 days. Just a couple of days, you will be able to see the most of Seville and discover the Andalusian Culture. 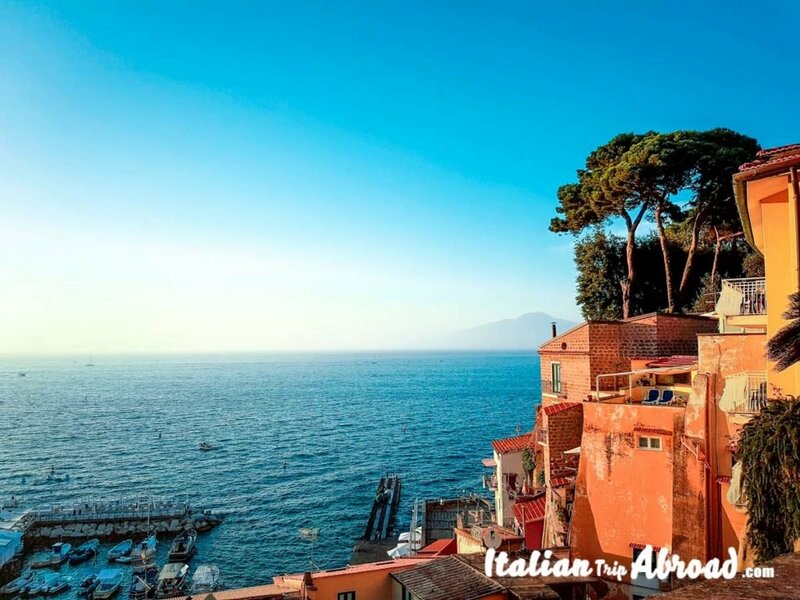 If you organize your trip in advance, you can see more than one thing each day. This is one of the most beautiful places in Seville which you must visit if you are planning your tour of Andalucia. Plaza de Espana is a very colourful piazza. You will be able to take some Instagrammable photos of the Andalusia Culture. This square is composed of fountains, canals, bridges and stunning architecture. We have been twice. The first time in the early afternoon where all the colour were really bright. The second time during the sunset, where we could see all the colours changing and it was absolutely amazing. The plaza is situated inside Maria Luisa Park. It is next to Avenida Isabella La Catolica, a pedestrianised avenue with ice-cream sellers and bike rental stands. This is the best way to reach the park, entering near the Teatro Lope de Vega and Fabrica del Tabaco. You also can reach the park from the Prado de San Sebastián on one side, or the river on the other. The Real Alcazar of Seville is one of the most representative monumental compounds in the city. The country and the Mediterranean culture as a whole. The ticket is not expensive it’s only 9 euro and 50 cents. For those under 16 years old the access is free. For the student between 17 and 25, the ticket is just 2 euro. Inside of the Alcazaba is really stunning and in your Seville itinerary 3 days, you must visit this amazing monument. La Plaza de Toros de la Maestranza is the name of the bullring of Sevilla. The exact construction date is unknown, as it went through wars, crises and different architects took over the project. The building was partially destroyed in 1805 by a hurricane, an incredibly uncommon phenomenon in this part of the world. This is one of the most important plazas in Spain. It has appeared in many movies and of course, it is one of the main buildings in Sevilla. 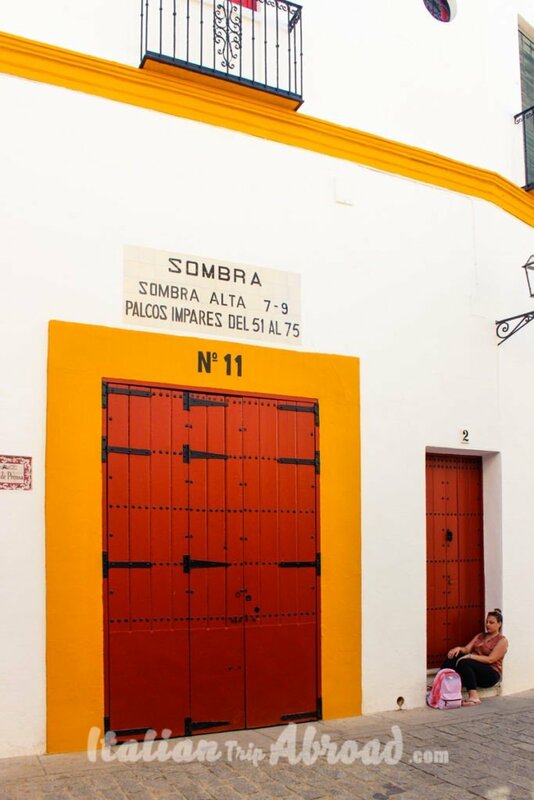 A visit to Plaza de Toros needs to be in you Seville itinerary 3 days. It is one of the main attractions of the tour of Andalucia. One characteristic that makes this plaza unique is its shape: The arena is not a perfect circle like most of the other plazas, this one is elliptical. We were surprised when we saw the Cathedral. As it is after Plaza de Espana we thought there was nothing better. But actually, both of them are amazing and it is a must see in Seville Spain. Mondays 11:00 to 15:30; Tuesdays to Saturdays 11:00 to 17:00; Sundays 14:30 to 18:30. Summer (July & August): Mondays 9:30 to 14:30; Tuesdays to Saturdays 9:30 to 16:30; Sundays 14:30 to 18:30. The tickets are not too expensive. It is only 9 euro and we really recommend to purchase your tickets online to avoid the long queue. For more information and book the tickets online, you can visit the website. There is a Q&A section that will help you. In your Seville itinerary 3 days, you can’t miss the symbol of Andalucia, the Flamenco. The flamenco dance museum is the door of the magic world of Flamenco. 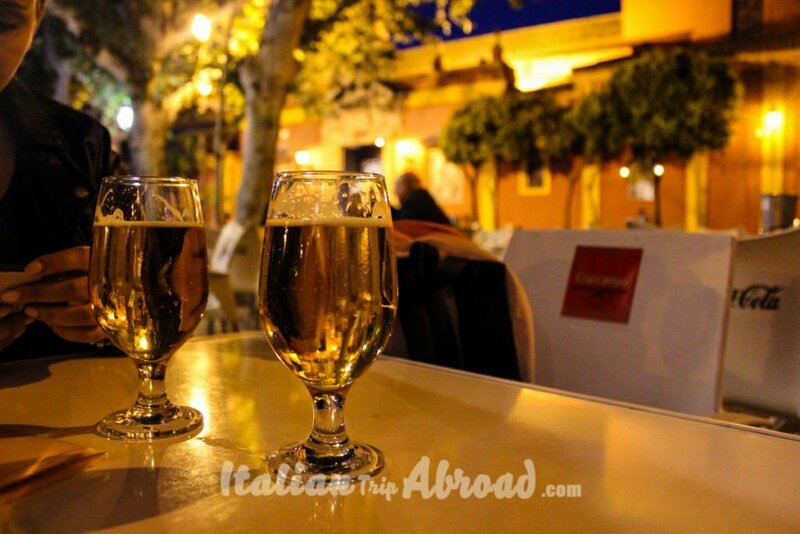 This is in the list of what you must do things in Seville Spain. There are a lot of options if you want to see the museum, for example, you can buy the ticket with included the flamenco show and the visit to the museum which the cost is £26 per adult, for child up to 21 years old the ticket are just £15. It is a really good deal as if you want to see only the show, the price is £22 per adult. For this reason, Alessia is always likely because when we have been in Seville Spain she was 21 so at least we could save some money.On the website, you can find really helpful details and you can purchase the tickets as well and you can decide how to combinate them. In your Seville itinerary 3 days for sure, you will pass by Metropol Parasol, it is almost impossible to miss it. The structure consists of six parasols in the form of giant mushrooms, whose design is inspired by the vaults of the Cathedral of Seville. The Metropol Parasol for us is a must do in Seville, don’t skip it, and try to be there at the Sunset, you will enjoy an amazing view at the golden hour and take some of your best Instagram photos. It is important to plan in advance to spend at list 3 days in Seville, otherwise, you will run around and skip some of the best attractions. 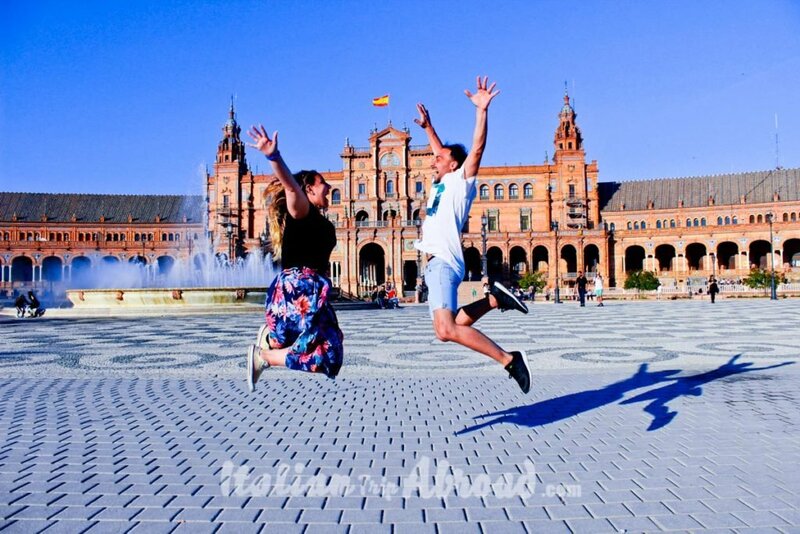 We will suggest planning to spend 4 days in Seville Spain, it will give you the time to enjoy your days. 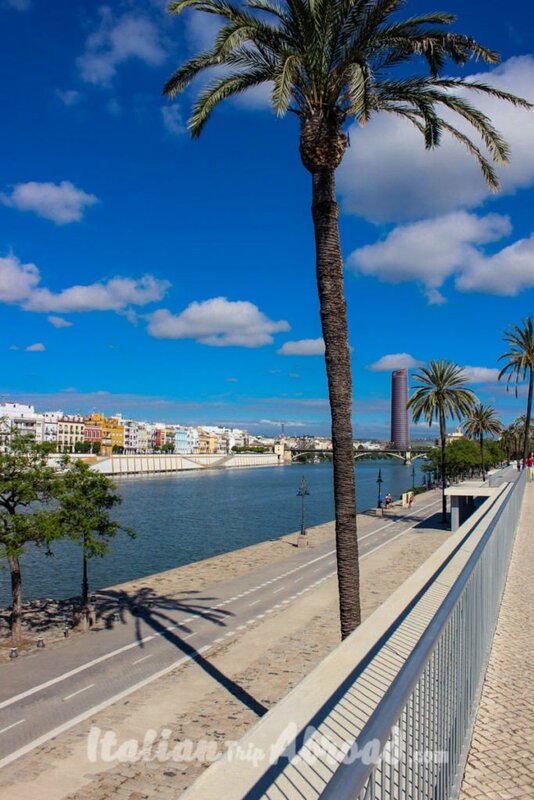 In your 2 days in Seville, you must go to Paseo de Cristóbal Colón. It is close to the Real Alcazaba and even to the tube station Puerta de Jerez. This avenue, one of the most pleasant in the city, follows the river between the bridges Puente San Telmo and Puente Isabel II. It’s one of the most interesting arteries in the whole city, with buildings on one side. Meanwhile, on the other side, you will see the shore of the Guadalquivir river, beautifully embellished with gardens. The sidewalks and “Terrazas” give access to the shore of the river, where you can board any of the recreational boats that fill the river, and enjoy sightseeing in the city. 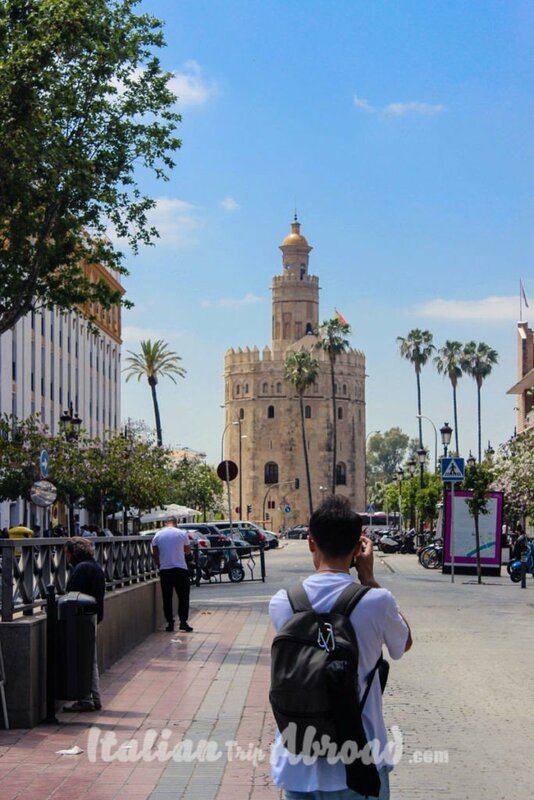 Paseo de Cristóbal Colón is 8 minutes by walk from Torre de Oro, which is the most iconic building in Seville, dating back from the 13th century as a defensive tower for the Arenal. Do not spend the whole (hot most likely) day going crazy about that perfect picture with the right illumination. Enjoy this lively spot of Sevilla. Stop here for an ice-cream and enjoy it. Sit on the benches while you look at the bank of the river and the breeze hits your face. 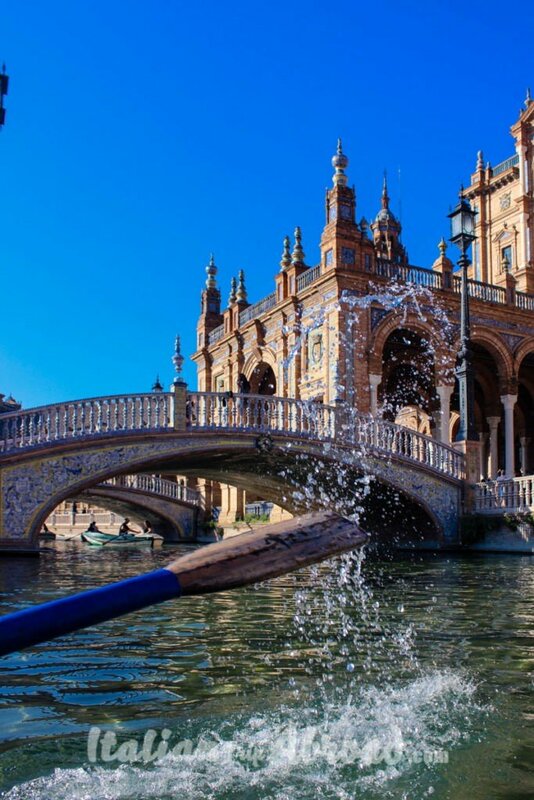 In your Seville itinerary 3 days, you will be able to understand why everyone is falling in love with Seville. It is one of the greatest cities in Spain and we enjoyed a lot our time over there. When we organised our ideal itinerary for 10 days in Spain we spent at least one month to plan everything as we wanted. The flight from London to Malaga, the accommodation and the car. To rent a car in Spain is cheap, you can find really good deals, like for a day it is even 7 euro but without insurance. Once we landed in Malaga, as Alessia used to work for IHG company we stayed at the Holiday Inn Express, very close to the airport and just 30 minutes by bus to Malaga city center. The day after we came back to the airport to pick up the car and to start our road trip going towards Gibraltar, stopping by Torremolinos, Fuengirola, Marbella and Puerto Banús. All of them one more beautiful than the other. We spent one day in Gibraltar and stayed overnight close to Los Barrios, which is a quiet area, not too far from La Linea de la Concepcion, so we were able to go with the car and come back to the hotel. TopTips: For your visit in Gibraltar it is very difficult to enter with the car, and there are a lot of security controls, even worse than an airport, so the easiest and quickest way it will be to leave the car outside and cross the board by walk. In your day in Gibraltar, you must see the monkeys. Cadiz needs to be in your tour of Andalucia, especially during the summer as has got the best beaches ever. You can spend two or three night and enjoy the weather and the amazing food. We have been to a really nice restaurant, which was an open one with the table outside and we ate the best fish ever and the service of all of the people working there was incredible, busy but ready to help you to find the best choice for yourself. Remember it for your visit to Cadiz, Taberna el Tio de la Tiza. The best thing about Cadiz? If you find the perfect Airbnb you will love it. 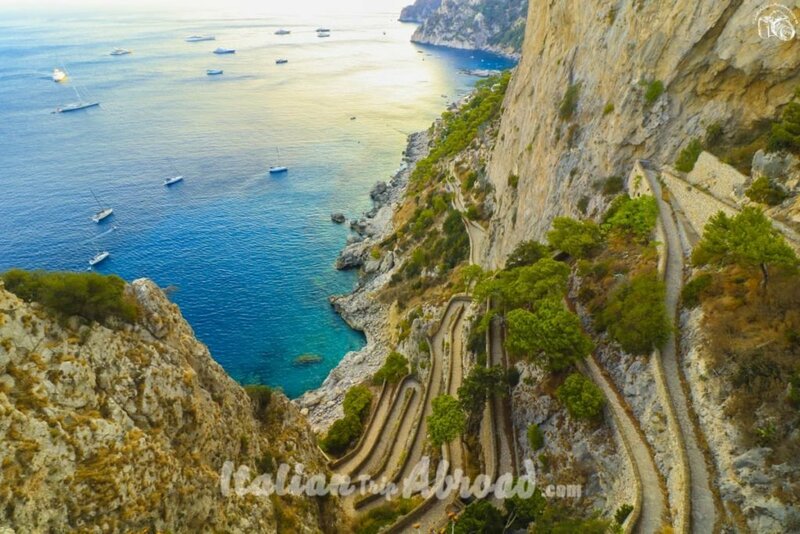 Alessia book the accommodation only for the stunning view, the sea, and actually we were lucky as to reach the city centre it was only 30 minutes by walk or 15 minutes by train or bus. Seville is the magic city of Andalusia itinerary. There are a lot of things to see and if you don’t want to miss anything 3 or 4 days are perfect for your ideal itinerary. Granada was our last stop before coming back to Malaga for other two days and then going back to London. It is a really cool city where two or 3 days in Granada should be enough for your ideal itinerary for 10 days in Spain. One of the best things we discover in Granada are the amazing tapas served in one of the coolest tapas bars ” Los Manueles”. 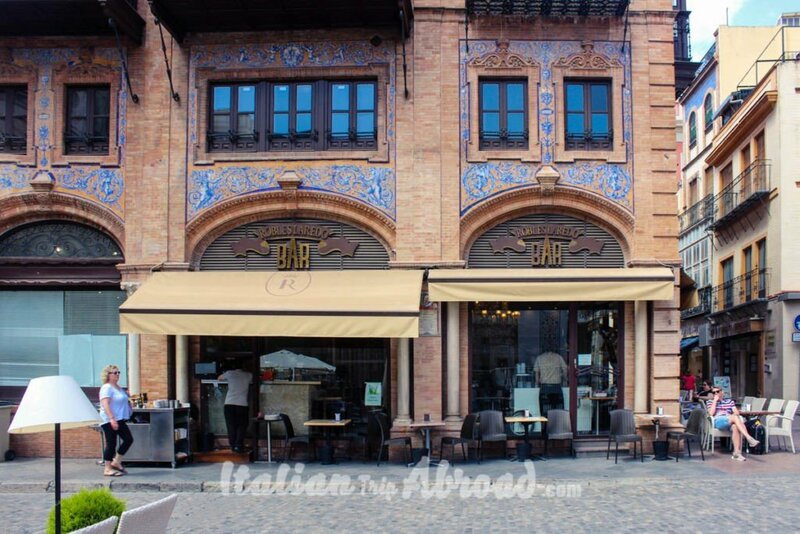 In one side is a restaurant where you can sit and have a proper dinner and to the opposite side, there is a typical Spanish Bar, the perfect place where to have an aperitif with cerveza and tapas. 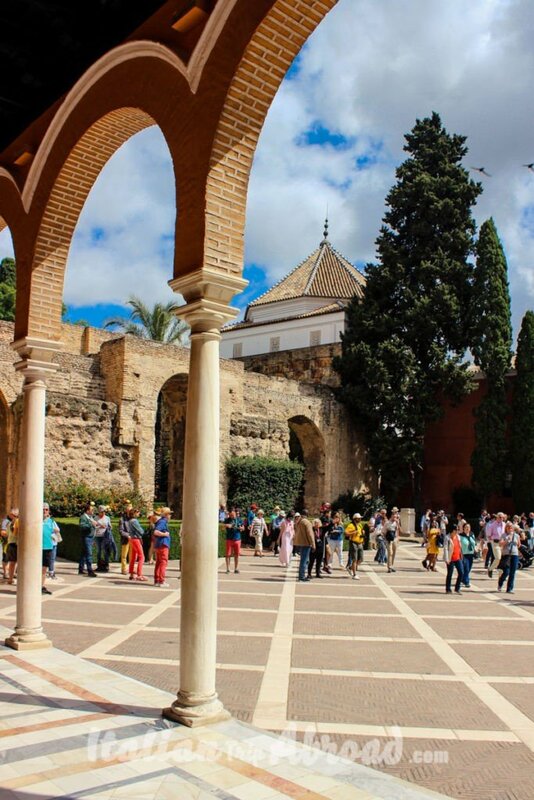 One of the most important things to see in Granada is the “Alhambra” The tickets to see the Alhambra are not easy to find, so you need to plan your 10 days in Spain really in advance. If you are unable to find the tickets there are a lot of viewpoints where to take pictures of the Alhambra, for example, there is Mirador de San Nicolas one of the best points to see the Alhambra Granada.As I said we plan it for one month trying to do our best to see the best of the tour of Andalucia. We terminate our road trip of Andalucia in Malaga as the flight are cheaper than the other cities. We stayed for three days so at least we were able to discover the city and to relax a bit before coming back to our routine in London. If you are like us, especially after a very long trip around the Andalucia you will spend a few hours exploring the city centre and then spending the rest of the day on the beach. Having more than 10 days you can add another stop and after Granada, you can stop by Cordoba which is really nice as well. From Granada to Cordoba by car is 2 hours and 15 minutes more or less, it always depends on how many stops you do and for how long. Cordoba to Malaga is 2 hours. In 10 days you have the possibility to do it, but our suggestions is to add couple of more days, as especially for the person who is driving it is really stressful, hard and you can’t enjoy all the things you have around. Remember that the best memory of a trip will never be any of the pictures that you take; it will be those unique moments that fill your soul. 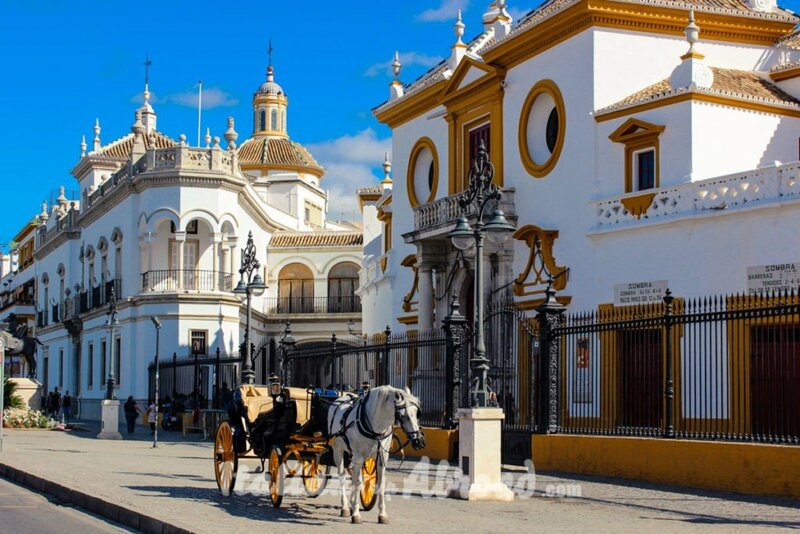 Seville is the centre of Andalusia, it is possible to reach every corner of the Costa del Sol. You can reach easily Malaga, Granada, Cadiz or Cordoba, the major cities of South Spain. From Seville to Malaga your journey will take you just a couple of hours, driving thought awesome landscapes and amazing views. 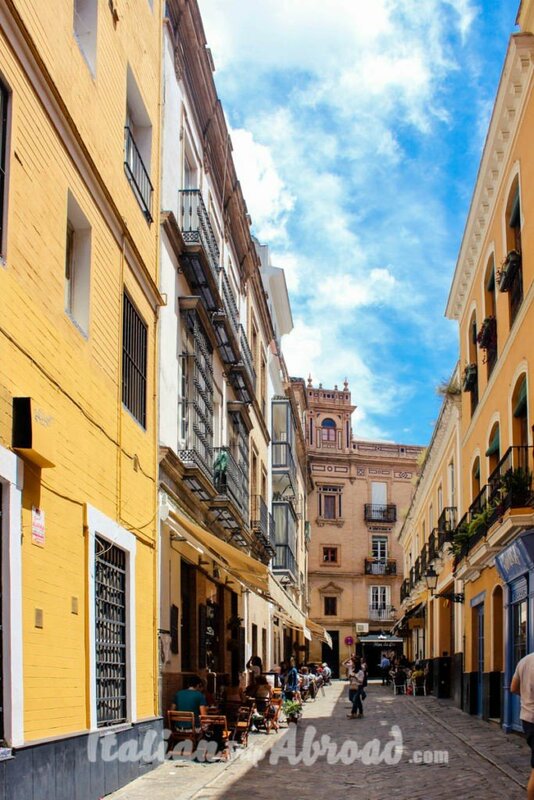 Plan a trip from Seville to Cadiz and enjoy the beach of this ancient city, the great food and the picturesque narrow streets of the old town. If you are looking for some tips about day trips from Seville you cannot skip at all Granada. The city of the Alhambra and the Generalife, with the amazing Arab bath, should be on the top of the list. If you are heading to Andalusia in winter, you can even reach Granada for a snow day trip. The city of Garcìa Lorca is really famous for the Sierra Nevada, a mountains complex where practice your winter sports. Everyone knows that land in Madrid is cheaper than to land in Seville. Madrid Barajas is a big airport, and it is the Capital, so a lot of flights companies offer bargains time to time. So don’t be afraid if you find a cheap flight to Madrid, you can still reach Seville for a day trip. Madrid is an amazing city, and it is situated in the centre of Spain. If you are planning to reach Seville from Madrid, I will avoid the idea to go by car. The journey will take you almost 5 hours. It makes the idea to do a day trip from Madrid to Seville really impossible. Instead, take a ride on a fast train. It is not expensive if you book your ticket in advance, and the ride is just about 2 hours. Are you ready to spend a perfect day in Seville? 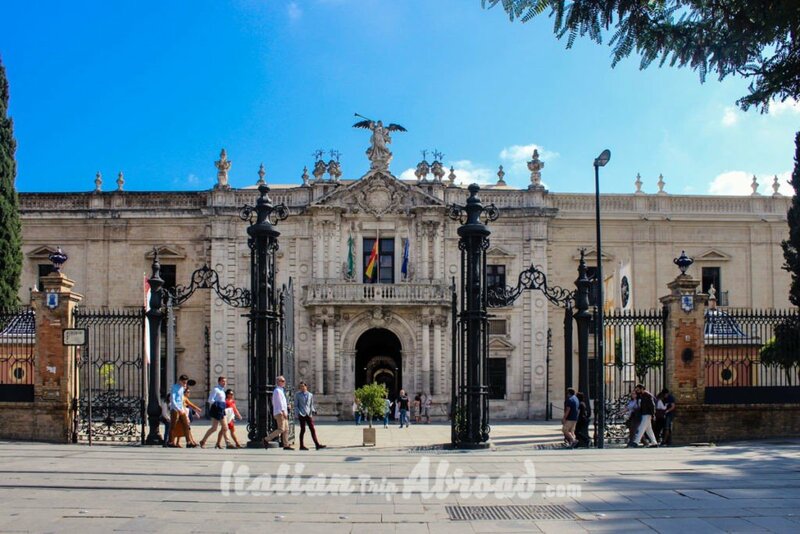 Top Tips: You can reach also Seville from Madrid with high-speed train within 2 hours, and you can explore Seville even if you catch an early train and coming back in the evening. 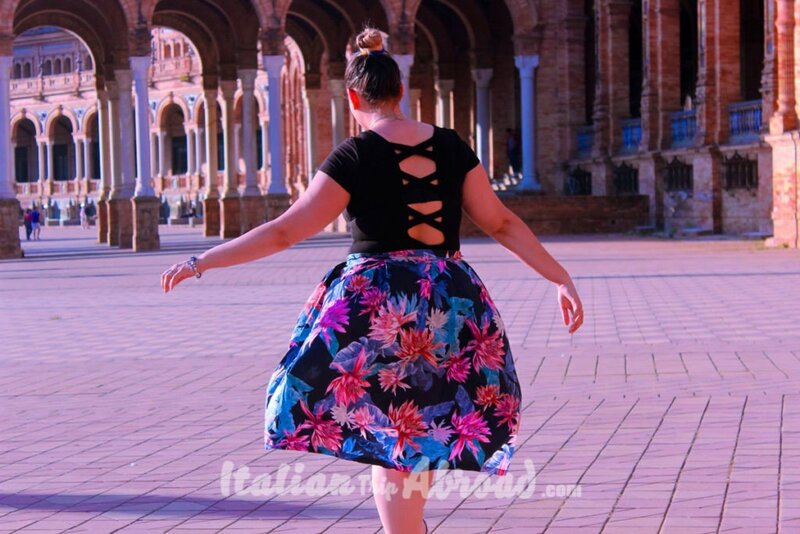 You can get really good deals if you book your tickets in advance, such as 30 euro return or if you are travelling with friends, 4 people or more. So fun! I just love your photos. I would like to go to Sevilla one day. It looks like a wonderful place to explore. this place is still on my list! the weather alone im sure Ill go and of course the food! great shots by the way you make it look lots of fun! 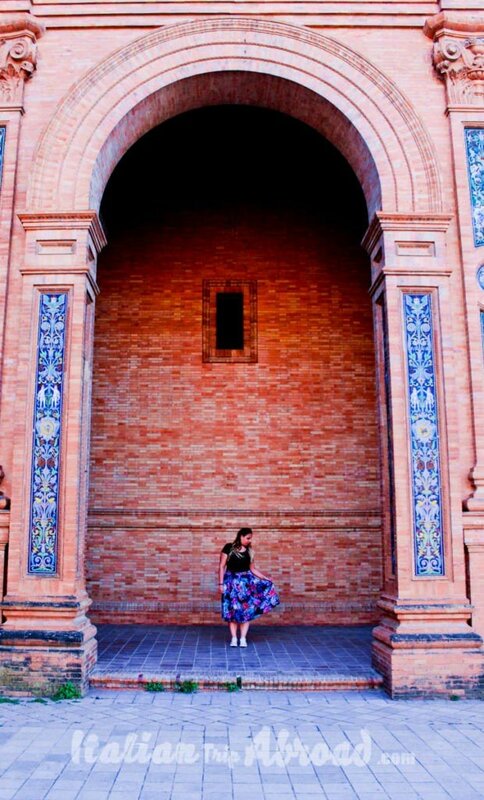 I miss Seville! I visited it too many years ago and I missed too many things, your article reminds me that maybe it’s time to consider returning! Look like ya seen some amazing site while on your trip. I will love to go to these places. What an amazing looking place Sevilla is! I would love to check out the flamenco museum I bet that is interesting! I will be returning to Spain in October this year, and I cannot wait! I am yet to see Sevilla – I do hope I can this time! Seville is a stunning destination. You weren’t kidding about the architecture, amazing. I love all the color of the town. I’ve never heard of Seville, but it looks like a beautiful place to visit. I love the photos! Oh, Seville, this is one of my dream destinations hoping I can go back one day to Spain. I went to Barcelona two years ago and loved it. What an amazing trip! I can’t believe that you packed so much in and found so many great deals. That is the way to do a holiday! I can’t wait to get to Sevilla! Can you believe I’ve been living in Andalucia for a year and haven’t been there yet? Maybe I’ll go for a long Easter weekend, the city looks so magical! For a taste of sunny Andalucía, Seville combines the best of many worlds: extravagant Moorish architecture, exuberant street life, and affordable, authentic Spanish tapas. I found the atmosphere of Seville to be incredibly picturesque, with the Giralda tower in the skyline and fiery flamenco in the streets. This makes me want to plan a trip! And anytime I can stay in an Airbnb in a new city or town, I’m happy. It makes me feel as though I am having a more authentic experience in the location. And please point me in the direction to a GREAT tapas bar. I want ALL the tapas! Beautiful photos! I would love to visit Seville some day. I’ll definitely wear a colorful dress as you did! This looks really pretty. Your pictures are lovely. It would be a fun trip. I hope to go some day. This place looks a like a beautiful place to visit. And the pictures that you’ve taken are so stunning.